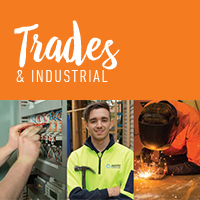 As well as offering plumbing apprenticeships, which take up to four years to complete, including part time TAFE study during the first three years. The plumbing teaching department also deliver specialised courses for those who wish to work at a higher level of competency (post Certificate III in Plumbing) applying greater skills specialising in all aspects of plumbing. You will gain the appropriate skills to plan, size and layout of plumbing in buildings up to six stories high. Our courses also addresses the Victorian license requirements for water, drainage, sanitary, roofing and gas fitting.